Sir Roy Colin Strong, CH, FRSL (born 23 August 1935) is an English art historian, museum curator, writer, broadcaster and landscape designer. He has served as director of both the National Portrait Gallery and the Victoria and Albert Museum in London. Strong was knighted in 1982. Roy Colin Strong was born at Winchmore Hill (then in Middlesex), the third son of commercial traveller (for a hat manufacturer) George Edward Clement Strong and Mabel Ada Strong (née Smart). He attended nearby Edmonton County School in Edmonton. Strong graduated with a first class honours degree in history from Queen Mary College, University of London. He then earned his Ph.D from the Warburg Institute and became a research fellow at the Institute of Historical Research. His passionate interest in the portraiture of Queen Elizabeth I was sidelined "while he wrote a thesis on Elizabethan Court Pageantry supervised by the Renaissance scholar, Dame Frances Yates who (he says) restructured and re-formed ...[his]... thinking." In 2007 Strong listed his qualifications as DLitt PhD FSA. He became assistant keeper of the National Portrait Gallery in London in 1959. In 1967, aged 32, he was appointed its director, a post he held until 1973. He set about transforming its conservative image with a series of extrovert shows, including "600 Cecil Beaton portraits 1928-1968." Dedicated to the culture of the 1960s and 1970s, Sir Roy went on to amuse audiences at the V&A in 1974 with his collection of fedora hats, kipper ties and maxi coats. By regularly introducing new exhibitions he doubled attendance. Reflecting on his time as director of the National Portrait Gallery, Strong pinpointed the Beaton exhibition as a turning point in the gallery’s history. "The public flocked to the exhibition and its run was extended twice. The queues to get in made national news. The Gallery had arrived", Strong wrote in the catalogue to Beaton Portraits, the more recent exhibition of Beaton that ran at the gallery until 31 May 2004. In 1973, aged 38, he became the youngest director of the Victoria and Albert Museum (V&A), London. In his tenure, until 1987, he presided over its The Destruction of the Country House (1974, with Marcus Binney and John Harris), Change and Decay: the future of our churches (1977), and The Garden: a Celebration of a Thousand Years of British Gardening (1979), all of which have been credited with boosting their conservationist agendas. 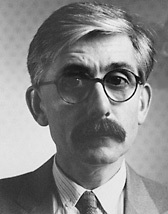 In 1977, following government cuts, he oversaw the closure of the much -amented Circulation Department of the V&A, which organised tours of the collection around Britain. In 1980, "he was awarded the prestigious Shakespeare Prize by the FVS Foundation of Hamburg in recognition of his contribution to the arts in the UK." He was awarded The Royal Photographic Society's President's Medal and Honorary Fellowship (HonFRPS) in recognition of a sustained, significant contribution to the art of photography in 2003. Among other work for television, in 2008 Strong hosted a six-part TV reality series The Diets That Time Forgot. He acted as the Director of the fictitious Institute of Physical Culture, where nine volunteers spent 24 days testing three weight loss diets and fitness regimes that were popular in the late Victorian (William Banting) and Edwardian periods (Horace Fletcher) and the 'roaring' Twenties (Dr Lulu Hunt Peters). The weekly series was first aired on 18 March on Channel 4. Strong is a notable scholar of Renaissance art, especially English Elizabethan portraiture, on which he has written many books and articles (see bibliography section). His diaries from 1967-1987 were published in 1999, as was The Spirit of Britain: A Narrative History of the Arts, a widely acclaimed 700-page popular history of the arts in Britain through two millennia. In 2005, he published Coronation: A History of Kingship and the British Monarchy. He had a monthly column in the Financial Times for much of the 1970s and 1980s, and has written articles for many other magazines and newspapers. In 2000 he wrote Gardens Through the Ages and is a patron of the Plantation Garden, Norwich. On 10 September 1971, at the age of 35, Strong married 41-year-old theatrical designer Julia Trevelyan Oman, at Wilmcote church, near Stratford-upon-Avon, with a special licence from the Archbishop of Canterbury. They enjoyed a belated honeymoon in Tuscany. She died in 2003 of pancreatic cancer. Strong lives in the village of Much Birch in Herefordshire. Here, with his wife, he designed one of Britain's largest post-war formal gardens, the Laskett Gardens. In 1995 he and his wife commissioned the artist Jonathan Myles-Lea to paint a portrait of the house and gardens, which was completed the same year. Since 2010 the gardens have been open to the public by appointment, for groups of more than twenty. An offer by Strong to bequeath Laskett Gardens to the National Trust was rejected in 2014 after it was deemed that they fail to "reach the high rung of national and historic importance". Strong later announced plans to have the gardens "destroyed" on his death. He later relented and in 2015 agreed to bequeath the gardens to the horticultural charity "Perennial" (Gardeners' Royal Benevolent Society). After leaving the V&A, Strong published a set of diaries that became infamous for its often critical assessments of figures in the art and political worlds. It has been rumoured that he has retained a set for posthumous publication. Jan Moir commented in 2002: "His bitchy, hilarious diaries caused a storm when they were published in 1997 and although he has no plans at present to publish another set, he is keeping a private diary again." Strong subsequently designed gardens for Gianni Versace at Versace's Lake Como villa, Villa Fontanelle, and Versace's Miami house, Casa Casuarina. At Versace's behest Strong designed an Italian garden at Elton John's residence, Woodside, in Old Windsor, Berkshire. A practising Anglican, Strong is an altar server at Hereford Cathedral, as well as High Bailiff and Searcher of the Sanctuary of Westminster Abbey. In this capacity he attended the funeral service of the Queen Mother in 2002. On 30 May 2007, in the crypt of St Paul's Cathedral, he delivered the annual Gresham College Special Lecture, entitled "The Beauty of Holiness and its Perils (or what is to happen to 10,000 parish churches? )," which was deeply critical of the status quo. He said: "little case can be made in the twenty-first century for an expensive building to exist for a service once a week or month lasting an hour," and he wanted to "take an axe and hatchet the utterly awful kipper coloured choir stalls and pews, drag them out of the church and burn them," and "letting in the local community" in order to preserve many rural churches in Britain. The National Portrait Gallery Collection has seventeen portraits of Strong including a photo and a sketch by Cecil Beaton and an oil painting by Bryan Organ. An early bronze bust by Angela Conner is on view at Chatsworth House, Derbyshire. In 2005, Strong sat for Jon Edgar for a work in terracotta which was exhibited at Yorkshire Sculpture Park in 2013 as part of the Sculpture Series Heads - Contributors to British Sculpture. Strong was knighted in the 1982 New Year Honours and was appointed Member of the Order of the Companions of Honour (CH) in the 2016 New Year Honours for services to culture. Chairman of the Art Department, Arts Council. High Bailiff and Searcher of the Sanctuary of Westminster Abbey, from 2000. President, the Garden History Society, 2000-06. President, the Friends of Croome Park, from 2008. Strong, Roy (1963). Portraits of Queen Elizabeth I. Oxford: Clarendon Press. Country Life, 1897-1997: The English Arcadia, Roy Strong (1996), ISBN 0-7522-1054-8 (paperback 1999 ISBN 0-7522-1707-0). A number of institutions hold the papers of Roy Strong. These include the National Portrait Gallery, the Bodleian Libraries and the Paul Mellon Centre. The National Portrait Gallery holds Strong's correspondence with colleagues and acquaintances, mostly of a semi-personal nature concerning his personal commitments and achievements. The Bodleian Libraries' holdings of Roy Strong papers include manuscripts of his many books on historical, cultural and artistic subjects; personal diaries, correspondence and material relating to the Laskett garden. The Paul Mellon Centre holds the research material compiled by Strong in the process of writing his publications on Tudor and Stuart art. ^ Splendours and Miseries: The Roy Strong Diaries 1967-87, Roy Strong, Hachette U.K.
^ "Index entry". FreeBMD. ONS. Retrieved 12 October 2014. ^ "Roy Strong: the man who gave history a face-lift" (PDF). Queen Mary College. Quad Alumni. 14: 6–8. June 2005. Archived from the original (PDF) on 10 April 2008. ^ "BBC News - Millennium". bbc.co.uk. ^ Hallett, Florence (13 February 2004). "The Fame Game - Cecil Beaton at the National Portrait Gallery". Culture24. Retrieved 27 November 2009. ^ "Programmes - All - Channel 4". Channel 4. ^ Adam, Sheila (2009). The Plantation Garden Norwich. Plantation Garden Preservation Trust, 2nd edition. p. 3. ^ "Julia Trevelyan Oman". The Independent. Archived from the original on 1 October 2007. ^ "Julia Trevelyan Oman". Telegraph.co.uk. 13 October 2003. ^ "Sir Roy Strong's - The Laskett Gardens". thelaskettgardens.co.uk. ^ "'Finest' gardens created since the War will be destroyed: Gardener Sir Roy Strong will order his four acre creation to be torn up when he dies after National Trust turn down bequest". Mail Online. ^ "Culture, Arts and Entertainment". Telegraph.co.uk. ^ Roy Strong (3 November 2016). Scenes and Apparitions: The Roy Strong Diaries 1988–2003. Orion. p. 190. ISBN 978-1-4746-0391-1. ^ "National Portrait Gallery - Person - Sir Roy Strong". npg.org.uk. ^ Symons, Joanna (28 June 2003). "UK: Historic sites". The Daily Telegraph. London. Retrieved 22 May 2010. ^ Edgar, Jon (2008). Responses - Carvings and Claywork - Sculpture 2003-2008. England: Hesworth Press. ISBN 978-0-9558675-0-7. ^ "Yorkshire Sculpture Park". ysp.co.uk. ^ "No. 48837". The London Gazette (Supplement). 31 December 1981. p. 2. ^ "No. 48936". The London Gazette. 30 March 1982. p. 4390. ^ "No. 61450". The London Gazette (Supplement). 30 December 2015. p. N27. ^ Forty years since The Destruction of the Country House exhibition at the V&A Museum, 1974. ^ "Sir Roy Strong donates archive to Bodleian Libraries". Retrieved 3 August 2016. ^ "Roy Strong Archive". Retrieved 3 August 2016.